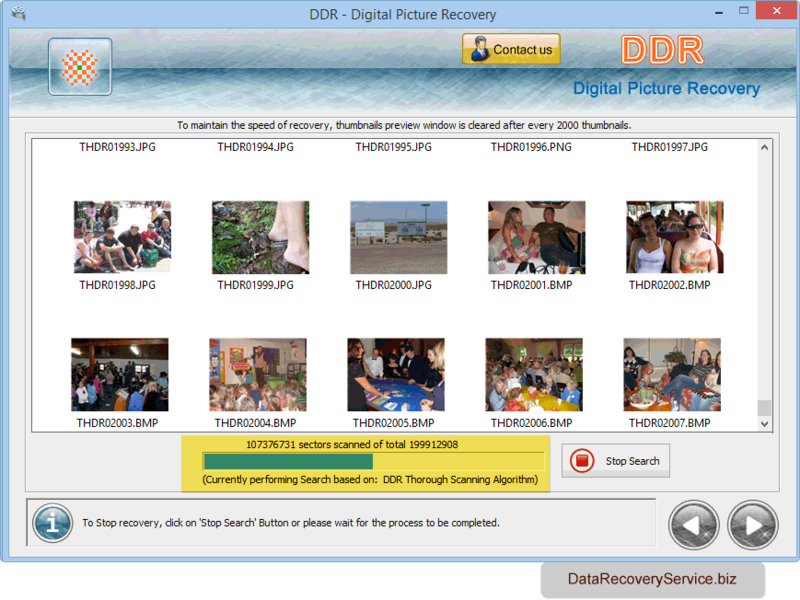 Digital pictures recovery software is designed to recover deleted precious and memorable digital photographs from logically damaged hard disk drive and removable media storage devices. 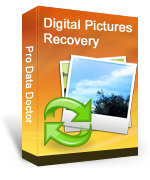 Photos retrieval utility salvage pictures files lost due to accidental deletion, virus infected drive, improper devices handling, formatted or corrupted HDD and USB devices, software malfunctioning, human error and other data loss incidents. Hard disk drive brands: Seagate, Toshiba, Transcend, IBM, Maxtor, Hitachi, Quantum, Western digital etc. Removable media brands: Panasonic, Samsung, HP, IBM, Canon, Kingston, Zebra, Nikon, Konica-Minolta etc. Easily salvage lost or erased pictures files, folders from fixed and USB removable storage devices. Rescue photos emptied from Windows recycle bin folder or permanently deleted using shift + delete key in case of fixed hard disk drive. Supports major picture file formats including jpeg, gif etc. Software supports all types of hard disk standard including ATA, SATA, EIDE, IDE, SCSI drives. 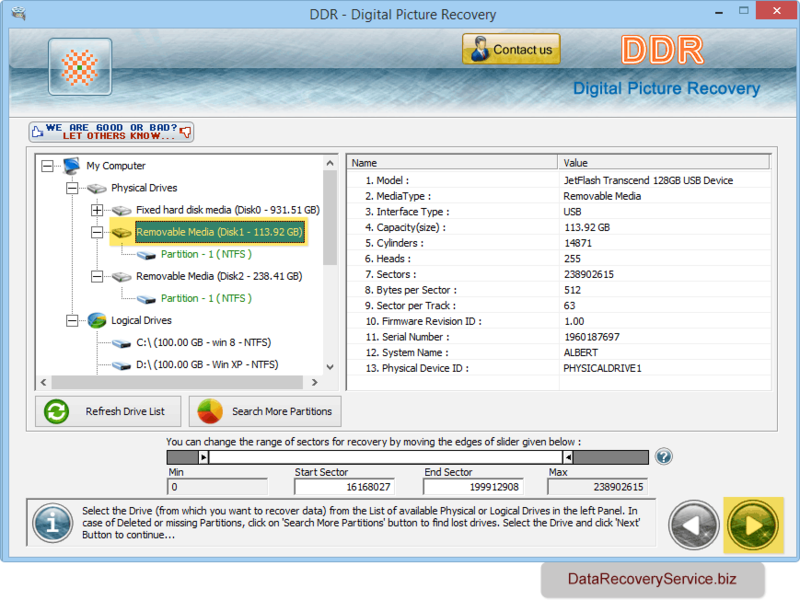 Recovers pictures from various storage device including Pen drive, xD-picture card, Mobile phone, PDAs devices etc. Select removable media from which you want to retrieve lost data files and click 'Next' button. 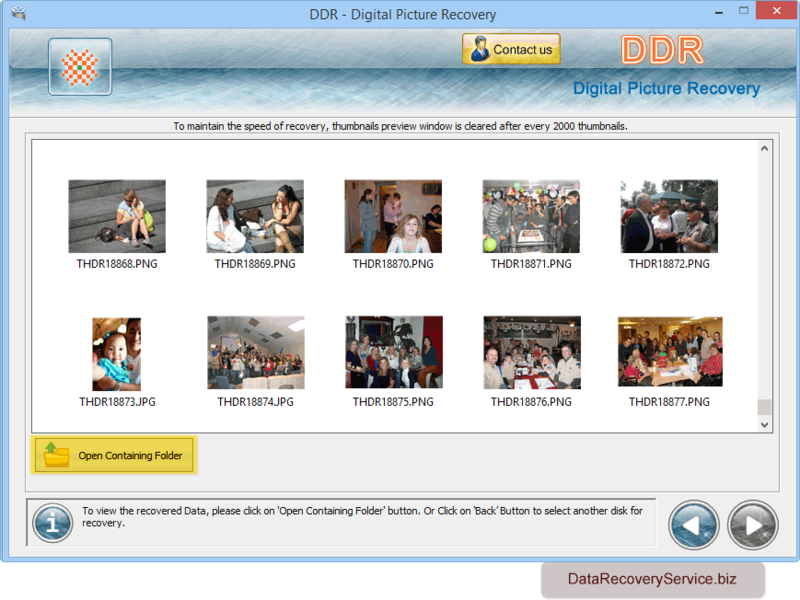 Browse path where the recovered images will be saved by DDR - Picture Recovery Software. Click Next button to proceed. Pictures recovery is going on. 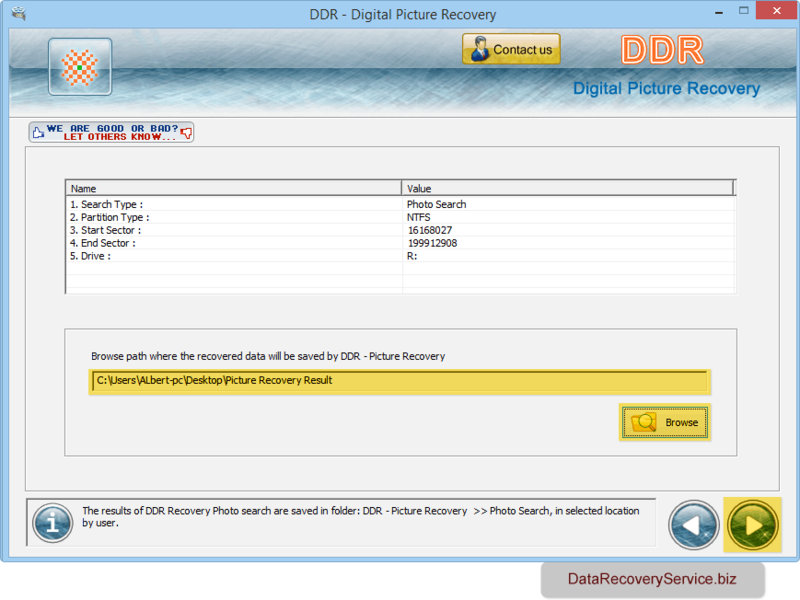 You can view the current status of picture recovery process. To view recovered photos click on 'Open Containing Folder' button.